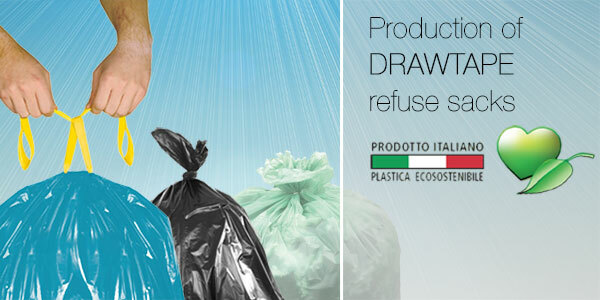 This line only includes refuse bags, mostly black, without drawtape: they are alsoproduced with 100% recycled polyethylene. The production range includes plenty of sizes and thicknesses suitable to small and big containers. 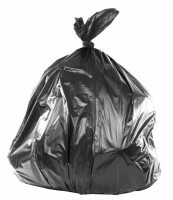 The reinforced side sealings allow to produce a black refuse bag very strong and anti leakage. All the bags without drawtape are on a roll and packed under high definition printed paper band where you can find all the information about the bag and the corresponding container.